Dr Martens Skelton is a Service Response Boot.Non-safety. 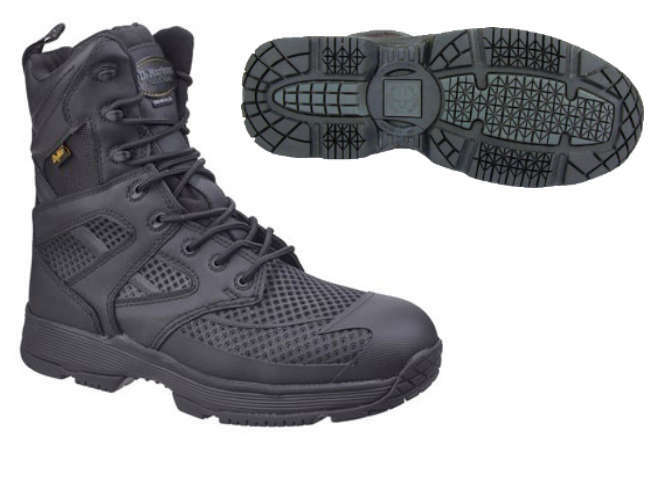 The Watch 8 eye utility boot is entirely non-metallic. It is always a good idea to try and look after your footwear. Try not to let them dry out as they are leather and need looking after even the best footwear will loose it sparkle and durability. Take care of the leather and it will not let you down and will last much longer.Remove dirt with a wet cloth not too wet but damp should do it. It will soak in to the leather in 5 minutes. The footwear is known for both its comfort and durability. The company has long been a renowned shoe and boot manufacturer and has always been at the forefront of fair trading and carbon foot printing. For Dr Martens the workers in our supplier factories are just as important to us as our own employees, we believe that everyone in our supply chain should be treated fairly and with dignity.A key part of our strategy is to have long-term relationships with a small number of key partners. This allows us to build stronger relationships with a deeper understanding of the issues faced by our suppliers and creates an environment of trust and transparency. 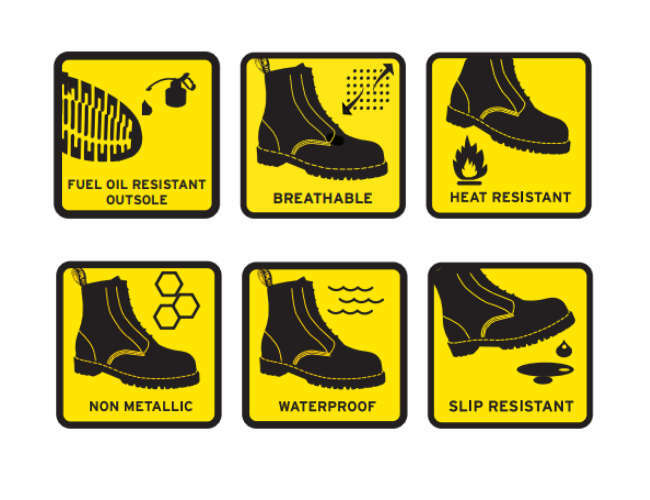 Health and safety in the work place is very important to Dr Martens Safety boots.The products are built to last and have been deigned to be safe, made with quality materials but still remain safe to the environment. Research plays a very big part in the development of our products.Leather Working Group. 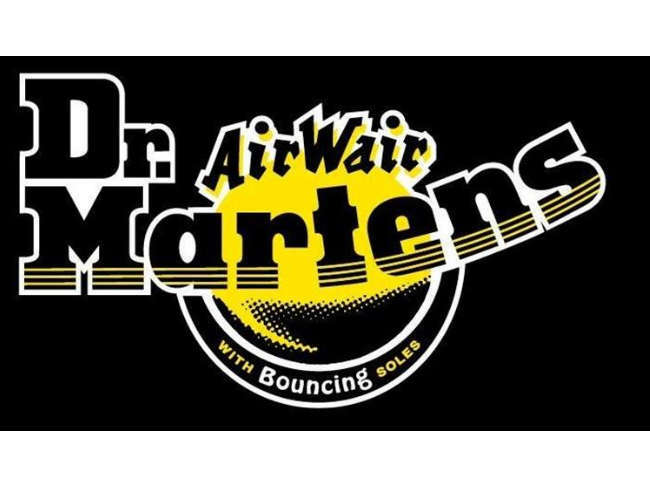 Dr Martens are full members of the Leather group affiliated with the Leather technology center.The goal of the this group is to raise awareness and increase standards to the environment throughout the footwear industry.This includes factories and retailers.Here at Adventure 1 we pay particular attention to this and do our best with our limited resources. Packaging 100% recyclable with solvent free ink. Animal Welfare is important to dr martens especially in the safety boots. Leather is from cows used in the meat industry and not bred for the making of boots. Leather products from exotic animals. 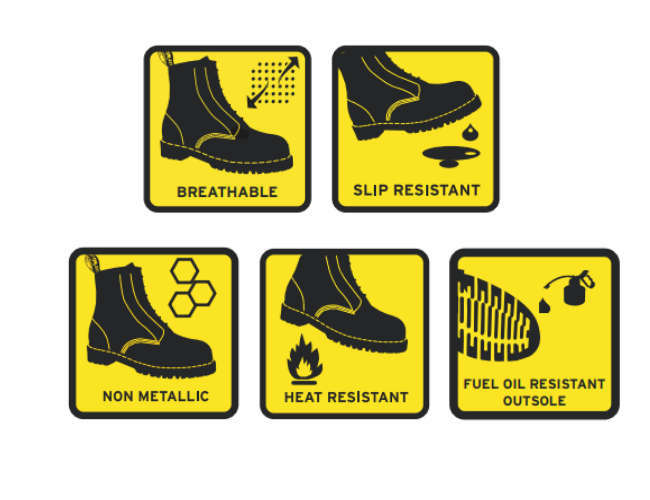 All dr martens safety boots are tested against slip resistance .